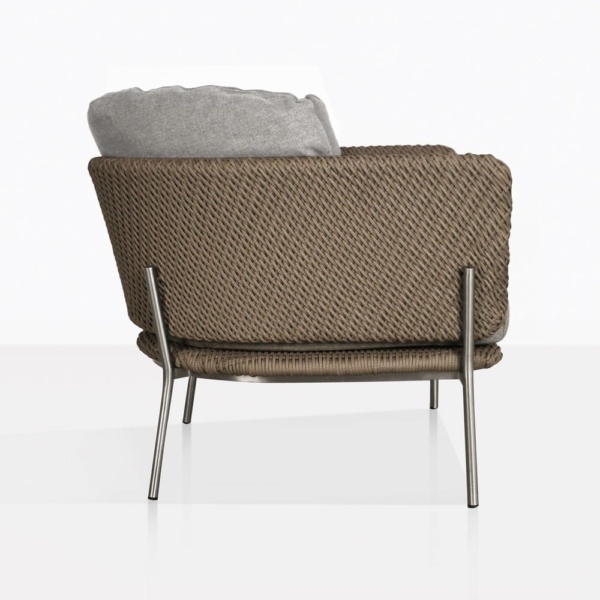 Take a moment for yourself to bliss out in modern elegance, style and luxury with the Studio Rope Outdoor Relaxing Chair with the Cyprus Weave. Blending modern materials with a superb design, the Studio Rope Relaxing Chair suits many spaces, and adapts to many different styles. The design of this elegant chair is 2nd to none. 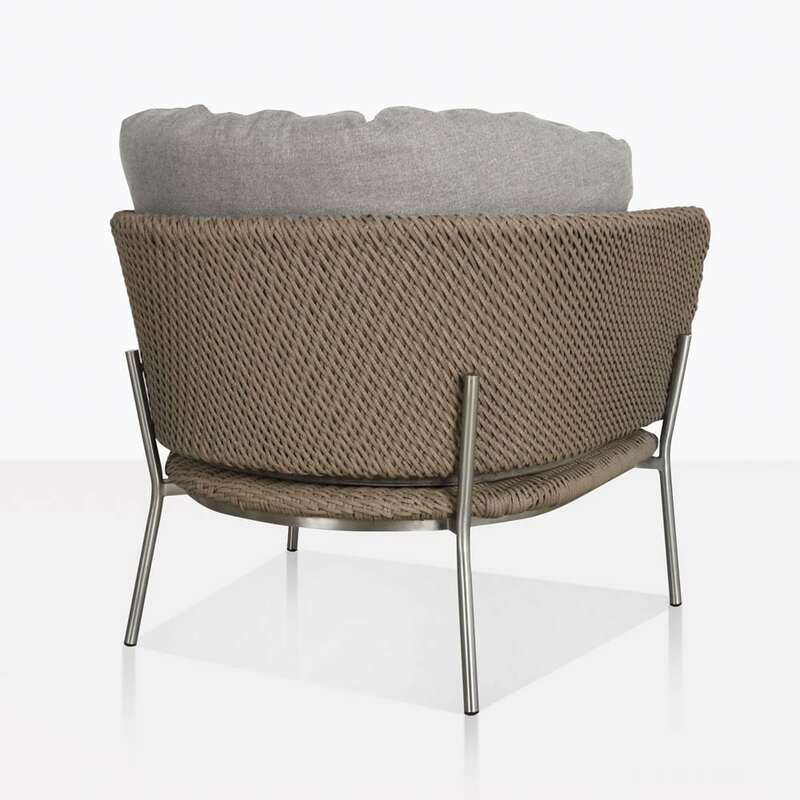 Built on an airy powdered aluminium frame, which is wrapped with woven taupe rope and garnished with perfectly rounded cushions, the Studio Relaxing Chair is one you’ll fall into with with a sigh of relief. 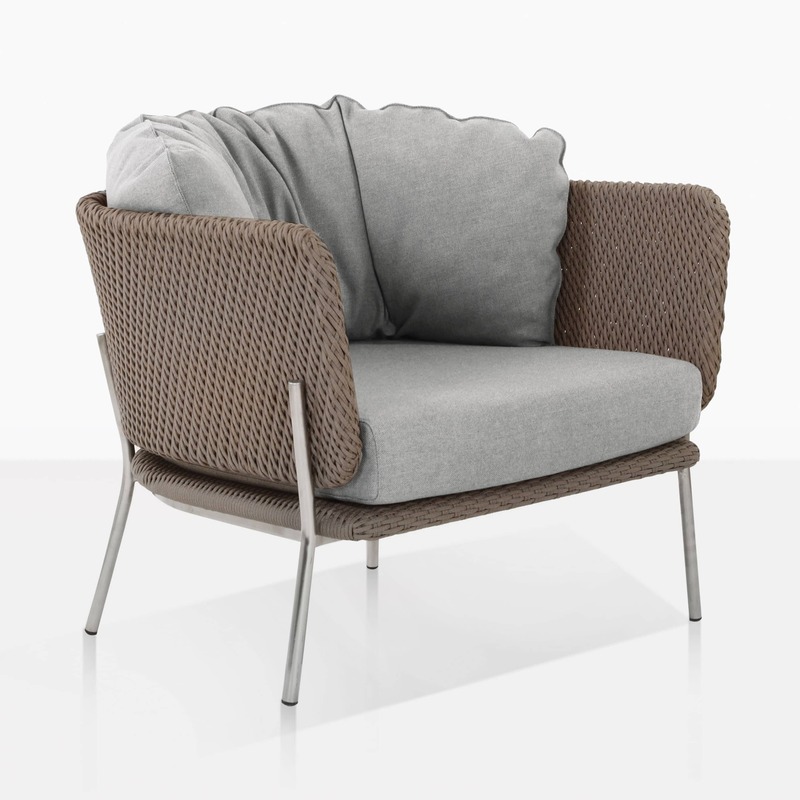 Part of the Studio Collection of outdoor furniture, which speaks to modern sensibilities, and simple luxury, the Relaxing Chair can sit individually or alongside its comrades in the collection – place it with the sumptuous sofa, or dining arm and side chairs for a collective feeling of calm and chic tranquility. Do you have the perfect place to soak up the afternoon sun? Place a Studio Relaxing Chair or two in your precious nook, complete the area with a side table and umbrella and bask in the calmness of your surroundings. The stunning Studio Chair is ideal to place alongside your swimming pool or garden area, a perfect contrast with the blue water or lush greenery! Or maybe you are building a core relaxing area in your courtyard or on your deck? A couple of Studio Relaxing Rope Chairs framing each side of the Studio Sofa will keep you and your guests in expert luxury! The Studio Relaxing Chair is available in different colours and weaves. These pieces are made from long lasting products that assure quality and comfort. 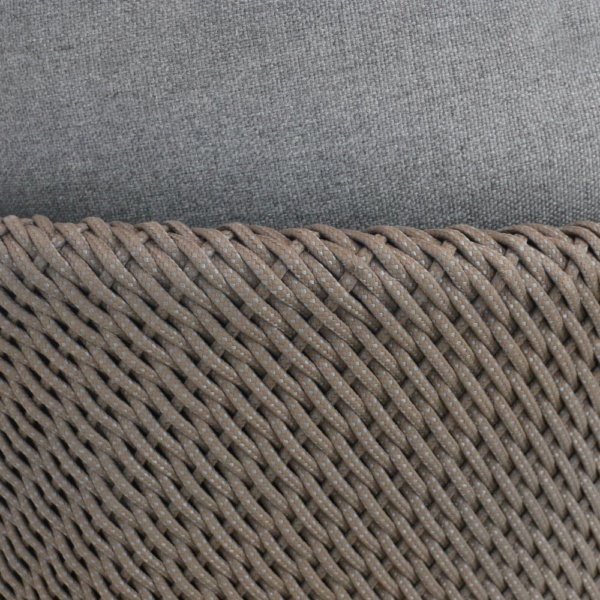 Enjoy powder coated aluminium, through dyed rope, and divine Sunbrella® cushions. 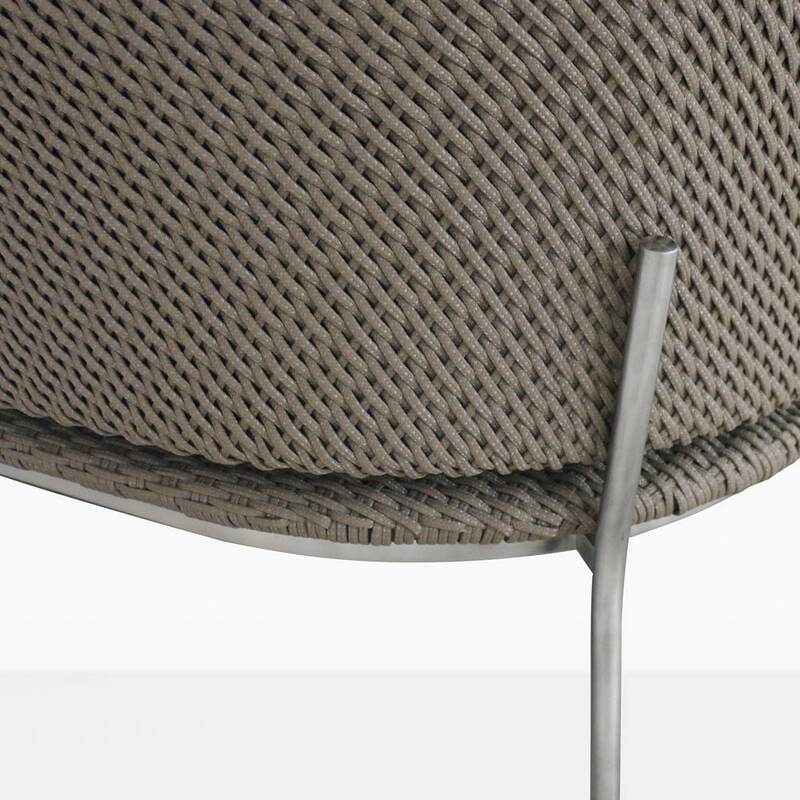 Design Warehouse is the premier leader of quality luxury outdoor furniture. As well as the Studio Collection, we have many more styles and materials to suit your space, and your personal taste! 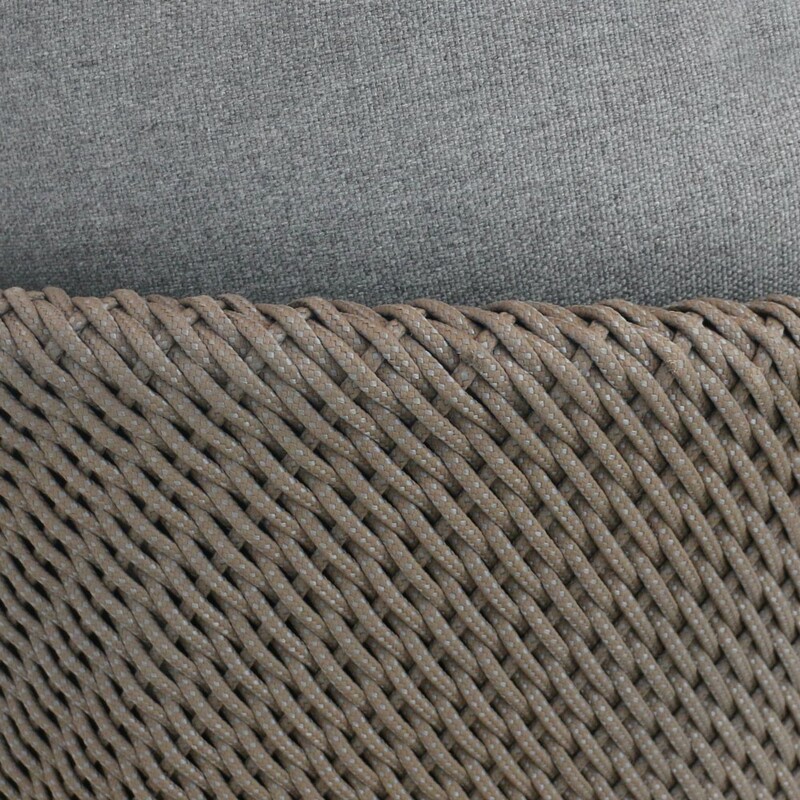 Call us now to order the Studio Outdoor Rope Relaxing Chair in taupe and other items for our impressive range.